a) The School is Buckswood School Limited. It is assumed that a pupil will, subject to conduct and academic ability, progress through the School and complete the Upper Sixth year. c) Our Aims: The aims of the School are described in the Prospectus. In addition, the School aims to strike the balance between academic and practical work, physical education, moral and spiritual development and the pursuit of leisure activities. We are committed to high standards of teaching and care and we welcome parental contact. The school is a private self-regulating community, which respects the human rights of pupils and their parents, who in turn accept that the School’s lawful policies, disciplines and rules must sometimes take precedence over the wishes of individuals. 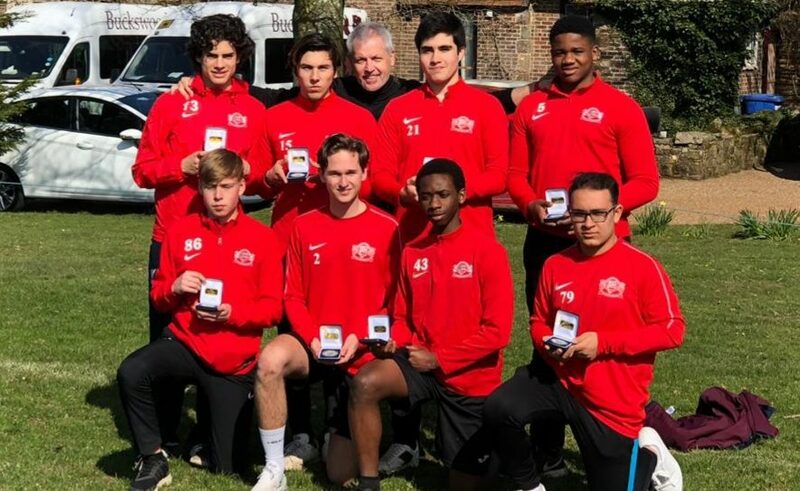 The School is an environment in which pupils are encouraged to participate in work and leisure activities with enthusiasm and commitment and to behave with tolerance and understanding, respecting the needs of others. d) Changes at the School: A successful school must initiate and respond to change. The offer of a place and its acceptance are given on the basis that, in the interests of the School as a whole, reasonable changes may be made from time to time to these standard terms and conditions, to the size and location of the School, to its premises and facilities, to the arrangements for lunches, to the academic and games curriculum and the structure and composition of classes and the way the School is run, to the rules and disciplinary framework, to the length of the school terms and the school day and to any other aspect of the School. e) Fee levels will be reviewed each year. Such review might result in fee increases as deemed necessary by the School’s Trustees. If the ownership or legal status of the School changes, the School’s rights and obligations under these standard terms and conditions will be deemed assigned to the new entity. Parents would be given reasonable notice of any significant proposals or change of policy likely to affect the school community as a whole. f) The Standard Terms and Conditions: We believe that these standard terms and conditions reflect the custom and practice of independent schools for many generations. The rules about change and about notice and fees in lieu of notice and the other rules set out below are provided in good faith. They promote the stability, forward-planning, proper resourcing and development of the School. They help also to protect parents from increases in fees and liabilities caused by the defaults of others. Except in relation to fees (which are dealt with by the Proprietor), any waiver is effective only if given in writing by the Proprietor personally. The School Rules and Policies, as varied from time to time, are part of these Terms and Conditions. Nothing in these standard terms and conditions affects the statutory rights of parents or pupils. a) Parents’ Authority: The parents authorize the Proprietor while in loco parent is or acting on behalf of a pupil who has reached the age of 16, to take and/or authorize in good faith all decisions that safeguard and promote the pupil’s welfare. Parents give consent to such physical contact as may be lawful, appropriate and proper for teaching and providing comfort to a pupil in distress or to maintain safety and good order or in connection with the pupil’s health. The Proprietor may also consent on behalf of the parents to the pupil receiving emergency medical treatment, including blood transfusions within the United Kingdom, general anaesthetic and operations under the NHS or at a private hospital where certified by a person who is appropriately qualified, necessary for the pupil’s welfare and if parents cannot be contacted in time. Unless you notify us to the contrary, you consent to your child participating, under proper supervision, in contact sports and in other sports and activities which may entail some risk of physical injury. From time to time the school may take groups of pupils off-site to undertake educational activities, subject to the completion of appropriate risk assessments and trip forms without gaining parental consent prior to the off-site visit. Examples of activities may include a visit to another Buckswood site or the woodlands activity centre, a visit to a site of interest, or a visit to a university in London or Surrey..
b) Conduct and Attendance: We attach importance to courtesy, integrity, manners and good discipline. Parents warrant that the pupil will take a full part in the activities of the School, will attend each school day, will be punctual, will work hard, will be well-behaved and will comply with the School Rules about the wearing of uniform. Pupils may receive health and life skills education appropriate to age in accordance with the curriculum from time to time. c) The Pupil’s Health: The Governor may at any time require a medical opinion or certificate as to the pupil’s general physical and mental health. The age of the pupil will be calculated in accordance with UK custom. Parents will be asked to complete a form of medical declaration concerning the pupil’s health and must inform the Proprietor in writing if the pupil develops any known medical condition, health problem, allergy, physical disability or will be unable to take part in games or sporting activities or has been in contact with infectious diseases. Pupils entering the School may be required to have a medical examination. Those with parental responsibility are invited to be present. Parents must comply with the School’s quarantine regulations as issued from time to time. d) Conduct of the School: The Proprietor is responsible for the care and good discipline of pupils while they are in the charge of the School or its staff and for the day to day running of the School and the curriculum. The Proprietor is responsible also for the imposition of any sanction including exclusion for non-payment of fees, suspension during investigation or following a breach of school discipline, and removal or expulsion under clause 6 below. The Proprietor is not responsible, unless negligent, for a pupil who is absent from the School in breach of school discipline. It is a condition of remaining at the School that parents and the pupil (including a pupil aged 16+ and 18+) accept the school regime and the School Rules and Policies (in so far as they are lawful and reasonable) as to appearance and dress and the rules of school discipline that apply from time to time. e) The school reserves the right to monitor email communications and internet use for the purpose of ensuring compliance with the School Rules. a) Items Covered: Fees cover the normal curriculum together with most books and stationery. Other items incurred by the School or the pupil may be charged as Extras. For the avoidance of doubt, public examination charges and special needs support are not included within the fees and will be invoiced as extras. Extras may also include but are not limited to, uniform, school trips and sports equipment. Loss of school books or equipment or Damage done by a pupil, other than fair wear and tear, may be separately invoiced and must be paid as an extra. The deposit is held as a security against disbursement transactions, including but not limited to; taxis, uniforms, medical appointments, examination fees, school trips which are not otherwise charged, extra tuitions (Languages, horse riding etc), Airport transfers etc. The school may add charges to the disbursement account for items such as trips, uniform etc up to £100 per charge item per term, anything above that amount, parental permission will be sought. Each invoice is due before the first day of term and must be paid by that date unless an instalment arrangement has been agreed in writing under clause 3j). If payment is not made prior to the start of a student’s first term, admission to the school may be refused. A pupil may be excluded from the School at any time when fees are unpaid and will be deemed withdrawn without notice 28 days after exclusion. (In such circumstances a term’s fees in lieu of notice will be payable). The School is agent only in respect of any goods and services which are supplied by a third party via the School to pupils or their parents. Fees will not be refunded or waived for absence through sickness; or if a term is shortened or a vacation extended; or if a pupil is released home after public examinations or otherwise before the normal end of term; or for any other cause except in the sole discretion of the Proprietor. Payment should be made by direct debit unless express written agreement to pay by cheque is given by the School. Payment by cash should only be in exceptional circumstances as the School’s insurance does not provide cover for large amounts of cash to be held on the premises. Extracurricular lessons may only be discontinued at the end of a term. A term’s notice is required and in the absence of such notice the appropriate fee will be charged in lieu. Fees are the joint and several responsibility of each person who has signed the Acceptance Form or who has parental responsibility for the pupil or has paid any fees or given instructions in relation to the pupil. The School may withhold any information or property while fees are unpaid. Where two or more persons have signed the acceptance form, one (or more) of them may withdraw from the contract with the school by submitting a term’s notice providing they have obtained the prior written consent of both the School and the remaining parties to the contract. f)Payment of fees by a third party: An agreement with a third party to pay the fees or any other sum due to the School does not release parents from any liability under these terms and conditions unless an express release has been given in writing signed by the School’s Bursar. The School reserves the right to refuse a payment from a third party. All such payments received are accepted in good faith. g) Late Payment: A late payment charge of £50 per week applies on any outstanding balance and all administration and legal costs in relation to any sums that are unpaid by the due date. Such charges will be recoverable by action if necessary. Cheque’s delivered at any time after the first day of term will be presented immediately and will not be considered as payment until cleared. Any sum tendered that is less than the sum due and owing may in any event be accepted by the School on account only. The contents of clauses 4 and 5 of these terms and conditions are intended to protect those parents who pay fees on time and to safeguard the School against consequences of the defaults of others, Should a payment (be that by BACS, cheque or any other means) be returned by the payees bank, the School reserves the right to charge a £10 administration fee towards the cost of dealing with the collection of the amount outstanding. h) Awards: Every award of a Scholarship or Bursary is subject to high standards of behaviour, attendance and work. The terms of the award and in particular the terms upon which benefits may become repayable are set out in the offer letter (where applicable) to parents. i) Bursaries: These awards are made on the basis that the parents will, promptly on each request, make a full and sufficient disclosure of their means supported by all necessary documentary evidence. A failure to do so may result in assistance being withdrawn or reclaimed and in that event parents will remain liable for the full amount of the fees. All Bursaries are reassessed annually. j) Instalment arrangements: An agreement by the School at its absolute discretion to accept payment of fees by direct debit or any other arrangement for payment of fees by instalments is concessionary and will cease automatically in the event of any default for 30 days or more. On ceasing, the full amount of fees then due shall be payable forthwith, as a debt and interest will start to accrue. k) Moving to the next stage of Education: Where there is selective entry to the next stage (such as transferring from the Preparatory to the Senior School, or progressing to the Sixth Form) and a child does not meet the criteria, then no notice needs to be given of the parents’ intent to remove the child at the end of the academic year in which the transfer to the next stage is due to take place. However, where a child does meet the criteria, parents must give the normal notice on or before the first day of the preceding term if they do not wish to take up the place. Failure to do so will incur fees on lieu of notice. l) Credit Checks: The School reserves the right to carry out credit checks on the person(s) responsible for the payment of fees where the fees become overdue in accordance with paragraph 4(e). In addition, the School reserves the right to make enquiries at a pupil’s previous school to satisfy itself that no fees remain outstanding at that school. Refunds will only be considered if you are able to produce a copy of the VISA REFUSAL LETTER and RELEVANT PASSPORT within 30 days of the date of the visa refusal. No refunds can be granted after this period. All refunded monies are to be refunded to the bank account that it was sent from initially. Notice to be given by parents means (unless the contrary is stated in these terms and conditions) a term’s written notice in writing addressed to and actually received by the Proprietor. No other notice will suffice. Notices must be hand delivered or sent by special or guaranteed delivery post to the school address. Hand delivered notices must be acknowledged by the school by the issuing of a signed and dated official receipt. Provisional Notice is valid only for the term in which it is given and only when written and accepted in writing by the Proprietor. Term means the period between and including the first and last days of each school term. A Term’s Notice means notice given before the first day of term and expiring at the end of term. Half a Term’s Notice means notice given before the first day of term expiring at half term, or notice given before half term expiring at the end of term. A term’s fees (less deposit/s held) will be immediately payable by the parents if, for any reason, they cancel their acceptance of a place less than a term before entry or the pupil does not join the School after a place has been accepted. Parents who withdraw giving a full term’s notice before entry will not have to pay fees in lieu but the deposit will be retained by the School. This applies to all Forms/Years, including Form 5/Year 11 but excluding Upper 6th/Year 13. Absence owing to illness does not constitute a claim for exemption from this requirement. c) Withdrawal from the School: A term’s notice must be given before a pupil is withdrawn from the School or a term’s fees in lieu will be immediately due and payable as a debt at the rate applicable on the date of invoice whether or not the place can be filled. The pupil’s decision to withdraw from the School shall, for these purposes, be treated as a withdrawal by the parents. The School Year is deemed to start on 1st September in each year. The main reason for these rules is to ensure that the School has sufficient notice with which to plan fee levels, other resources and the curriculum. A deposit of £250 is payable to secure a place, together with a non-refundable registration fee of £100. e) Overseas Pupils: For parents residing outside the United Kingdom, a deposit of £1000 will be charged, together with a non-refundable registration fee of £150. In the event of a student’s registration being cancelled less than 90 days prior to the scheduled arrival date, the School reserves the right to retain the Deposit. Should the cancellation be as a result of an failed visa application due to the applicant not having fulfilled the requirements of the local consular office, the School reserves the right to retain the Deposit. In all instances the Proprietor’s decision is final. The deposit will be repaid by means of a credit on the final extras account. Until credited, the deposit will form part of the general funds of the School and does not attract (a payment of) interest by the School. Refund of the deposits will not be done until 4 weeks after the student has left. Notice period is one full term in writing, or one term’s fees in lieu, if changing student status i.e. switching from full-time boarder to day pupil, or any other change. Refund of the deposits will not be done until 4 weeks after the student has left. IMPORTANT INFORMATION FOR OVERSEAS BOARDERS: Buckswood School will report any change in circumstances for visa national students to the UK Visa & Immigration Migrant Reporting service. f) Fees in lieu of notice: The fees in lieu rate for a boarder is the full rate of school and boarding rate applicable. a) In this agreement ‘’force majeure’’ shall mean any cause beyond a party’s control (including for the avoidance of doubt strikes, other industrial disputes, act of God, war, riot, civil commotion, compliance with any law or governmental order, rule, regulation or direction (including that of a local authority), accident, fire, flood, storm, pandemic or epidemic of any disease, terrorist attack, chemical or biological contamination). b) In the event of a force majeure arising which prevents or delays the School’s performance of any of its obligations under this agreement, the School shall forthwith give parents notice in writing specifying the nature and extent of the circumstances giving rise to the force majeure. Provided that the School has acted reasonably and prudently to prevent and minimize the effect of the force majeure, the School will have no liability in respect of the performance of such of its obligations as are prevented by the force majeure while it continues. The School shall use its best endeavors during the continuance of the force majeure to provide educational services. c) If the School is prevented from performance of its obligations for a continuous period greater than four months, the School shall notify parents of the steps it shall take to ensure performance of this agreement. d) In the event of a force majeure which affects parents’ ability to perform any of their obligations under this agreement, parents shall give the School notice in writing of the force majeure. Parents shall not be liable for non-performance of such obligations during the continuance of the force majeure but in the event of the force majeure continuing for more than four months, parents shall discuss with the School a solution by which this agreement may be performed. Documents, which may be updated from time to time, are available on the School web site and in the Student Handbook. They form part of the standard Terms & Conditions. All images and quotes are the property of the school. Parents and staff have right to object and desist the use of their image in the use of publicity and must be delivered in writing to the School. It is a condition of entry to Buckswood School that children without a parent resident in the UK must delegate parental responsibility to a suitable local guardian. The selection of a guardian is the parent’s responsibility. A Guardian or Guardian Agency must be appointed before an international student enters Buckswood School, irrelevant of age. While a child is with his/her guardian, the parent – not the school – is responsible for his/her welfare. Please email the signed and completed version of the guardian form to your Admission Representative. For more information please check our Guardian Policy. a) Special Precautions: The Proprietor needs to be aware of any matters that are relevant to the pupil’s, security and safety. The Proprietor must therefore be notified in writing immediately of any court orders or situations of risk in relation to a pupil for whom any special safety precautions may be needed. A parent may be excluded from school premises if the Proprietor, acting in a proper manner, considers such exclusion to be in the best interests of the pupil or of the School. b) Leaving School Premises: A pupil is required to have written permission before leaving school premises during the course of a school day. Boarding pupils are required to provide details of mode of travel and the address and a contact telephone number where the pupil can be contacted when not at school premises. The School is not, however, able to prevent a pupil leaving school premises in breach of School rules and is not legally entitled to do so in the case of a pupil aged 16+ or 18+. c) Residence during Term Time: The Proprietor must be notified in writing immediately if a pupil will be residing other than with a person who has parental responsibility. d) Absence of Parents: When both parents will be absent from the pupil’s home for a 24 hour period or longer, the School requires, in writing, the name, address and telephone number for 24 hour contact of the adult to whom parental responsibility has been delegated to. e) Liability and Insurances: The School does not, unless negligent, accept responsibility for accidental injury or loss of property. The School undertakes to maintain those insurances which are prescribed by law. All other insurances are the responsibility of parents including insurance of the pupil’s personal property whilst at school or on the way to or from school or on any school sponsored activity away from the School. The School is not the agent of the parents for any purpose related to insurance. Parents are asked to take out their own private insurance to cover all personal belongings and cash. However, the school can arrange for private insurance for belongings and cash via a British insurer. Details are available from the Bursar. Any insurance must be arranged prior to arrival at the school. f) Pupils’ Personal Property: Pupils are responsible for the security and safe use of all personal property and are responsible for ensuring that all such property is clearly marked with the owner’s name. A pupil may not bring any item of equipment on to school premises which runs off mains electricity without the prior written permission of a senior member of staff. Any item of a value in excess of £150 must be reported to the Proprietor. Mobile phones and mobile computers are to be registered with the school. There is a missing items procedure; please contact the Proprietor’s secretary for details. g) Concerns/Complaints: Parents who have cause for serious concern as to a matter of safety, care or quality of education must inform the Governor without delay. h) Progress Reports: The School monitors each pupil’s progress and parents will, from time to time, receive reports in writing and in discussion with staff. i) Learning Difficulties: Each pupil will be “screened” for learning difficulties on entry to Key Stage 2 and, if required, at key stages thereafter. Parents will be notified if it appears that formal assessment by an educational psychologist is advisable or the pupil is falling behind with studies. A formal assessment can be arranged by the School at the parents’ expense, or by the parents. Our staff are not, however, qualified to make a medical diagnosis of conditions such as those commonly referred to as dyslexia or other learning difficulties. Parents will be asked to withdraw the pupil without being charged fees in lieu of notice if, in the opinion of the Proprietor, the School cannot provide adequately for a pupil’s special educational needs. j) Biological Samples: The Proprietor may at any time when grounds for suspicion exist, require the pupil to give a biological sample under medical supervision to test for the use of illegal drugs or other substances damaging to health. A record of such sample will not form part of the pupil’s permanent medical record. k) Medical Expenses: All students are covered by the National Health Service while resident at the school, which means free medical care (excluding visits to dentists or opticians). Payment for these costs will be taken from the student’s current expenses account. Appointments with specialist consultants cannot be made through the NHS. An extra cost would be payable if such an appointment were to be made as it would be a private arrangement. l) Confidentiality: The School will take care to preserve the confidentiality of information concerning the pupil and parents in accordance with Data Protection Legislation. The parents, however, consent on behalf of themselves and the pupil to the School (through the Proprietor, as the person responsible) obtaining, holding, using and communicating, on a “need-to-know” basis, confidential information which, in the opinion of the Proprietor, is material to the safety and welfare of the pupil and others, including a pupil aged 16 and over. The parents consent also to the School communicating with any other school which the pupil attends or which a parent proposes the pupil should attend about any matter concerning the pupil or about payment of fees, whether or not the information passing is also held in machine-readable form. m) Examinations, Reports and References: The School will enter a pupil’s name for an examination if the Proprietor is satisfied that such is in the best interest of the pupil. Information supplied to parents and others concerning the progress and character of a pupil and about examination, further education and career prospects and any references will be given conscientiously and with all due care and skill but otherwise without liability on the part of the School. n) Intellectual Property: The School reserves all rights and interests in any intellectual property rights arising as a result of the actions of a pupil in conjunction with any member of staff of the School and/or other pupils at the School for a purpose associated with the School. Any use of any such intellectual property rights by a pupil is subject to the terms of a licence to be agreed prior to the use between the pupil, the pupil’s parents and the School. The School will allow the pupil’s role increation/development of intellectual property rights to be acknowledged. o) Prospectus: The prospectus describes the broad principles on which the School is presently run and gives an indication of our history and ethos. Although believed correct at the time of printing, the prospectus is not part of any agreement between the parents and the School. Parents wishing to place specific reliance on a matter contained in the prospectus should seek written confirmation of that matter as part of these terms and conditions before entering this agreement. p) School Publications: From time to time the School will issue press releases and publications will be produced to include newsletters, marketing material, web sites. Such publications may include images of pupils. By agreeing to the terms and conditions, consent for a pupil’s image to be used with be given. The school has permission to take photographs and videos of pupils. The school is granted full rights to use the imagery resulting from the photography or video and any adaptations of the imagery for commercial or publicity use to achieve the school’s aims. This may include, but is not limited to, the rights to use them in online publicity, such as social media, blogs and websites, the right to use them in printed activity, press releases and marketing campaigns. The school is permitted to authorise the use of such imagery with partners of the business, such as agents, advertisers and partner schools. Should the parents wish that their child’s imagery not appear in any school publication, they should provide this in writing to the school principals. q) Consumer Protection: Care has been taken to use plain language in these terms and conditions and to explain the reasons for any of the terms that may appear one-sided. If any word/s, alone or in combination, infringe the Unfair Terms in Consumer Contracts Regulations 1999 or any other provision of law, they shall be treated as severable and shall be replaced with words which give as near the original meaning as may be fair. This will not however, render the remaining terms and conditions void. r) Interpretation: These terms and conditions supersede those in the prospectus and elsewhere and will be construed as a whole. Unless required to make sense of the immediate context, headings are for ease of reading only and not otherwise part of the terms and conditions. s) Jurisdiction: This contract was made at the School and is governed exclusively by English Law. A school operating under one DCSF number is defined as a single entity for the purpose of these terms and conditions. t) Suspension and Expulsion: The school reserves the right to suspend and/or expel, without notice, any pupil whose conduct, in the opinion of the Director or Principal, becomes unacceptable for whatever reason. Fees for the remainder of a term will be forfeited and deposits will only be returned after the deduction of expenses. Any expenses incurred in returning a pupil to his/her parents/guardian will be recovered by the school. u) Drugs & Alcohol Abuse: The school reserves the right to undertake random testing for the use of drugs and alcohol. Any positive result will be assessed at the discretion of the Proprietor who may suspend or expel the pupil concerned. 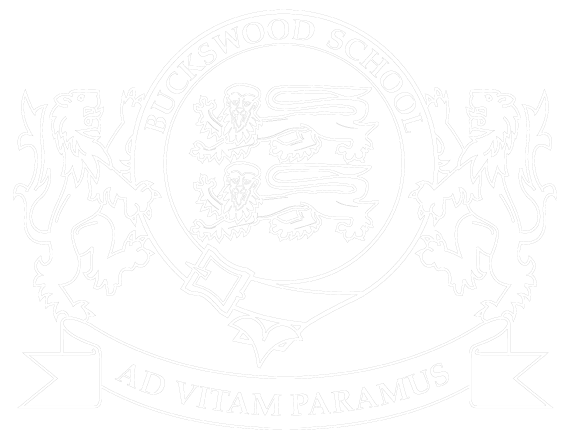 In accordance with the standard Agency Agreement terms, agents and consultants agree to promote Buckswood School; to provide accurate information and a professional consulting service to potential applicants; to assist applicants with visa and/or passport procedures; to assess suitability of applicants for the proposed course (checking certificates, reports and obtaining placement tests); to advise applicants of terms and conditions, especially financial implications, and to satisfy themselves that the course is within the means of the client. Agents must make the School aware of any conditions or circumstances surrounding a visa national student that raises any doubts over the validity of an application for entry into the UK under Tier four regulations. This addendum grants us permission to share your (childs) data (listed below) with your named parents, your named guardian and/or a named individual within your agency. It is recommended that this is a joint decision between both the parents and child. Buckswood School Ltd (“the School”) is committed to protecting the privacy and security of your personal information. It applies to all pupils, pupil enquiries and past pupils and their parents or guardians and agents. The School is a “data controller”. This means that we are responsible for deciding how we hold and use personal information about you. We are required under the GDPR to notify you of the information contained in this privacy notice. It is important that you read this addendum, together with the terms and conditions. Kept only as long as necessary for the purposes we have told you about and kept securely. We may also use your personal information in the following situations, which are likely to be rare: (1) Where we need to protect your interests (or someone else’s interests); or (2) Where it is needed in the public interest or for official purposes. We need all the categories of information in the list above to allow us to perform our contract with you and to enable us to comply with legal obligations. In some cases we may use your personal information to pursue legitimate interests of our own or those of third parties, provided your interests and fundamental rights do not override those interests. We collect and use pupil information under Article 6 of EU General Data Protection Regulations (GDPR) to ensure the school carries out its duties lawfully and appropriately. We also collect and use pupil data under Article 9 of EU GDPR for data collection purposes which is required under the Education Act 1996, such as the child’s racial or ethnic origin, and religious beliefs, health, biometrics (where used for ID purposes) or sexual orientation. We will seek your individual permission to share your ‘special category’ data under Article 9 which does not form part of this agreement. We have put in place appropriate security measures to prevent your personal data being accidentally lost or used or accessed in an unauthorised way.